Which categories of IATTO Member are eligible for IATTO Accredited Provider status? The status of ‘IATTO Accredited Provider’ is awarded to both Institutional and Organisational Members of IATTO that meet stated criteria evidencing their operational effectiveness, and the quality of their international trade training and/or educational programmes. What is required to become an IATTO Accredited Provider? (g) send at least one representative to the annual IATTO forum/Annual General Meeting (AGM). The purpose of the forum is to keep members informed of current trends in international trade and trade training, as well as what is happening within IATTO. It also provides a valuable opportunity for members to network with each other, and with international speakers and trade experts. Documents that support the above must be provided - see APPENDIX 1 : Application for IATTO Accredited Provider Status. 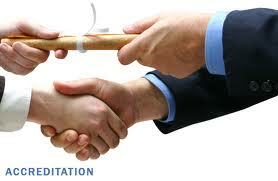 Why become an IATTO Accredited Provider? • informs potential clients and business partners that an organisation has a quality management system in place for all its international trade training/education programmes. This should assist with the marketing of programmes. • gives the organisation a competitive advantage over other organisations that are not accredited providers in the international trade field. • assures prospective students/participants that the organisation offers programmes that will meet their need to be effective in the global market place. • entitles an organisation to apply to IATTO for certification of its programmes, provided the programmes concerned meet the minimum standards prescribed by IATTO (see 3.1). Individuals who have successfully completed an IATTO-certified Level 3 programme, and met IATTO’s other requirements (see 4), will be eligible for the internationally recognised professional designation ‘WTP’ (World Trade Professional). • encourages organisations to keep up to date with developments in the international trade field, as well as in the training and education environment in general. • is the first step towards Institutional Members qualifying as an IATTO Agent.